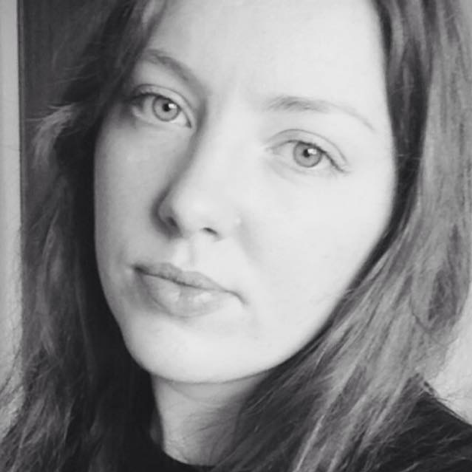 ​As my work often deals with connecting with physical movement, the topic of my previous Illuminate blog discusses how my early experiences with dance naturally feed into the way I approach and think about music. For this second blog, I discuss visual art as an inspiration for my new Illuminate commission, which builds on an earlier piece for flute and harp entitled Shift. Shift was written to accompany an installation of the same name by artist Anne Gibbs which was featured in National Museum Cardiff’s ‘Fragile?’ contemporary ceramics exhibition in 2015. Gibbs’ work incorporates intricate small-scale figures that explore themes of beauty and unrest, approached with sensitivity and precision. Each figure could be viewed as an independent piece, but what I find striking is Gibbs’ deliberate arrangement of these distinct figures to form the collection as a whole. Specifically, two aspects of Gibbs’ piece have inspired the processes encompassed in its musical companion: its title and combination of disparate materials. The title of Gibbs’ piece was instantly intriguing to me in particular, and in a way, it served as an instruction for the composition of the piece. A five-note cell of pitches that is perpetually shifted rhythmically into reoccurring musical figures largely comprises the piece. This set of pitches was isolated from the painstakingly intuitively composed opening flute gesture. 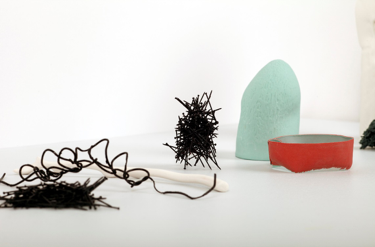 The second principal source of inspiration taken from Gibbs’ ceramic piece, crafted out of bone china, silk thread, pins and wire, is combining disparate materials. There is a parallel between the visual installation composed of differing materials and the grouping of contrasting instruments in the musical work. Shift combines the agile chromaticism of the flute and the timbral possibilities made available by the differing lengths of the harp’s strings to correspond with the mixed materials in Gibb’s installation. Undercurrent, my piece commissioned by Illuminate Season I 2019, develops ideas from Shift within a longer piece, both motivic and constructional, particularly the concept of the arrangement of disparate elements together. Throughout the piece, timbre functions alongside differing approaches to metre and pulse to coordinate or stratify the instrumental characters. The largely atmospheric opening of Undercurrent comprises of dovetailed expressive lines in the violin and cello underpinned by muddled chords in the piano’s lower register. This section corresponds to the organic ceramic shapes in Gibbs’ installation, which I associate with breath and resonance. A strong pulse is evaded in this section with metre constantly changing to support the expressive lines. In the faster central section of the piece, however, the dense piano chords evolve into secco rhythmic pulsations which provide a mechanical-like current in opposition to the expressive gestures characteristic of the violin and cello pair. Four primary cells are combined in different ways to construct the piano part in the central section. At times these cells are repeated in a familiar pattern, however, the pattern is quickly interrupted and never stated exactly. The final section of Undercurrent is a return to the atmospheric opening as the original piano chords return, this time in all of the instruments. Repeating at a differing rate, the rhythmic pattern is slowly augmented in each instrument until the individual streams converge to close the piece. You can hear Undercurrent performed throughout 2019 by Boston-based piano trio Prism, alongside new works by Kerensa Briggs, Laura Shipsey, Angela Elizabeth Slater, and Sarah Westwood, as well as historical works by Morfydd Owen, Grazyna Bacewicz and Lili Boulanger. I use memories as the catalyst for my work, primarily memories of dance projects that I have previously composed which I intersect and layer with other processes of hidden ideas and personal meaning. Elements associated with dance such as gesture, specialisation and embodiment play into my concert works, but I am especially interested in exploring Somatics in composition and the memory: the body as perceived from within, and the somatic principles of mind-body connection. Somatic movement is used in dance, and through my practice-based research I am endeavouring to link this ‘dance’ concept as a holistic approach to writing music, linking embodiment and intuition, and gesture and memory together. Etching Circles, my piece commissioned by Illuminate Season I 2019, was composed after I created electronic music for dance piece Circle of Perpetual Choirs. For this dance, the audience was in the round, and dancers moved outside the audience. Speakers were placed around the audience and under the seats, and I mapped a live, aural landscape around and close by the audience and dancers. Afterward, I was interested in the spatialization and in the different energy of the dancers, and wanted to focus on these thoughts for Etching Circles. Originally, Etching Circles started out as four small movements. My mind turned to the earlier dance music, the idea of the Baroque Dance Suite, alongside the fact that four dancers within CoPC each had their own energy, and I decided to pair the memory of each dancer with a particular Baroque movement I felt had a similar quality in their expression; the Allemande, the Courante, the Sarabande and the Gigue. I started sketching and layering ideas from this which germinated gestures and sound worlds for each particular movement. However, I didn’t want the piece to be structured with four separate movements, and as in the original dance, which interwove the choreography around the audience, I thought to weave and circle the movements together. 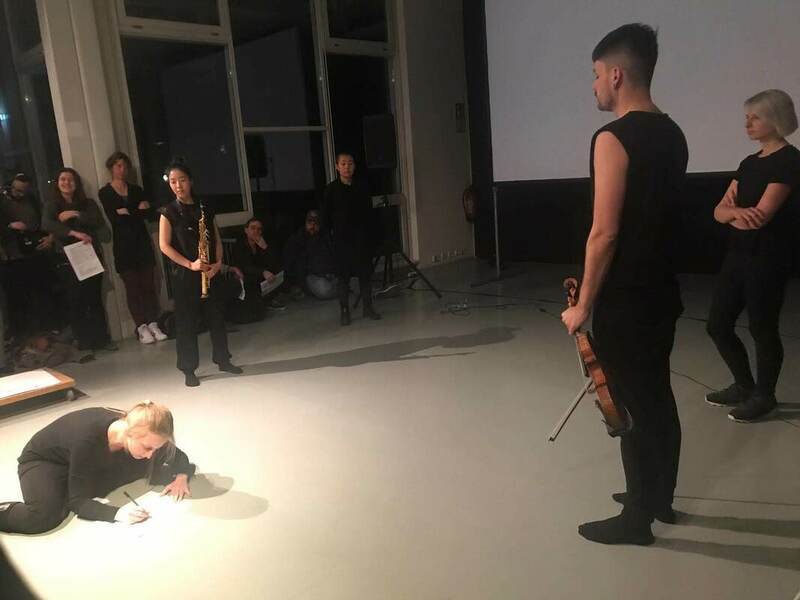 From this idea, and the fact that somatic movement has a level of indeterminacy, I’ve composed the movements as a mobile and invite the performers to play in their preferred order. Furthermore, each performer may play one stanza from a particular movement whilst another is playing from another movement. Repetition is encouraged. I imagined the sense that Etchings Circles becomes a sonic etch of the dancers. I like the image of etching as it a corrosion of the original project and something which can be etched in my memory. A final image that helped shape this piece is a photo of dance with long exposure. By now, my ideas for different movements could be placed within the same time and place in co- existence. You can hear Etching Circles performed throughout 2019 by Boston-based piano trio Prism, alongside new works by Kerensa Briggs, Laura Shipsey, Angela Elizabeth Slater, Blair Boyd, and historical works by Morfydd Owen, Grazyna Bacewicz and and Lili Boulanger. Circle of Perpetual Choirs: initiated by dancer Tara Silverthorn and developed with the kind support of Arnolfini Bristol, Ballet National de Marseille France, Siobhan Davies Dance London and Dream Time residency - a creative initiative between Dance Base, Studio On The Green and LIVE Borders. Funded by Arts Council England and Creative Scotland. For me the easiest way to talk about my work as a composer is to talk about the questions I am working with. The first questions for almost every piece I’ve written so far have been to do with context: what and where I am writing the piece for, and most importantly, who the musicians are. I’m writing this blog during the last few days of Impuls, a new music festival and academy in Graz, Austria, in which working together has been a central part of the compositional experience so perhaps that is skewing my current view, but for me the first challenge of Confluere (my new piano trio for Illuminate’s 2019 Season I), was the huge distance between me as a composer and the Prism Trio in the USA. I can’t wait to work with them when they come to the UK later this year because there is really nothing like being in a room with musicians and working on ideas together. For now I’ll introduce Confluere and explore how it relates to some other examples of my work. Confluere was the first instrumental piece I wrote following a long period of work on Samara, my largest orchestral work to date. After being immersed in such a large canvas for so long, suddenly having only three instruments felt very exposed. Confluere is in a sense very simple. It focusses on building very intimate relationships between the three performers and exploring how those relationships can change. The word ‘Confluere’ is the Latin root of the English ‘Confluence’ and means the place where two rivers meet and join together. Unusually for me the title came after the work on this occasion. It is descriptive of how the three instruments interact but also of my compositional process which, for this piece, was in a way very fluid. Confluere will be premiered in the US on 8th March (Cambridge, MA) and in the UK on 30th August (Brighton) alongside works by Blair Boyd, Kerensa Briggs, Angela Elizabeth Slater and Sarah Westwood. At the other end of the spectrum in terms of collaboration and notation is my recent piece In Tiled. Building on some smaller scale pieces written during my time in Cardiff last year, In Tiled explores how exactly we communicate (with each other as musicians and audiences, and with the musical material itself), and what happens when the score becomes mobile. Inventing and working with a new kind of scoring for this piece meant confronting questions of form and movement and has resulted in a work which I hope will grow in new directions each time it is performed. 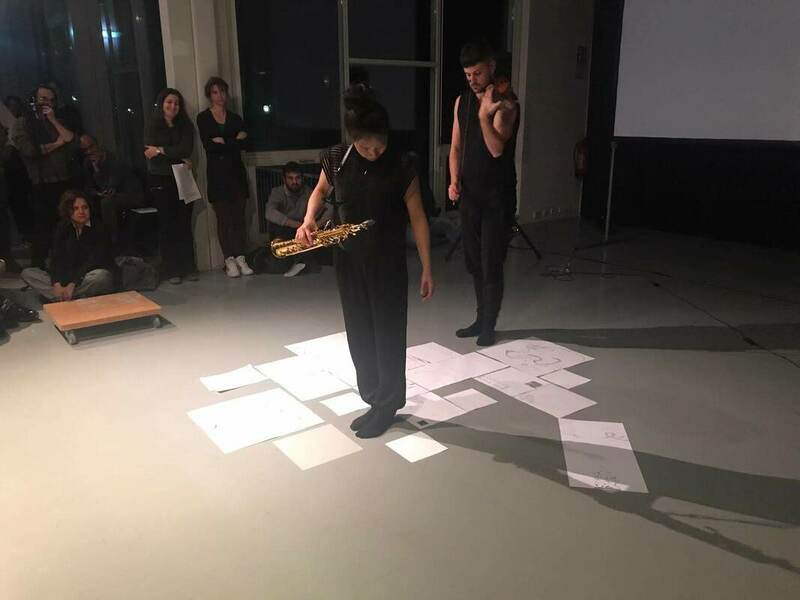 In Tiled was premiered in Graz, Austria, by Jacobo Hernández Enriquez (violin) and Yui Sakagoshi (saxophone) to whom I will always be grateful for their enthusiasm for the experiment. ​Juxtaposing these four pieces, I think I can safely say that my current concerns are: approaches to structure, music as a mode of live communication between audience, performers and composer, and clarity of character in the experience of each piece I make. I am still at the beginning of my journey and who knows where music will lead me next. I am hugely grateful to Angela for the opportunity to work with the Prism Trio and honoured to be a part of Illuminate’s 2019 Season I. Much of my music is influenced by reflection. As music can be such a powerful elicitor of reflective thought, I aim to write music which can give expression to existential emotions in a way that is universally accessible. 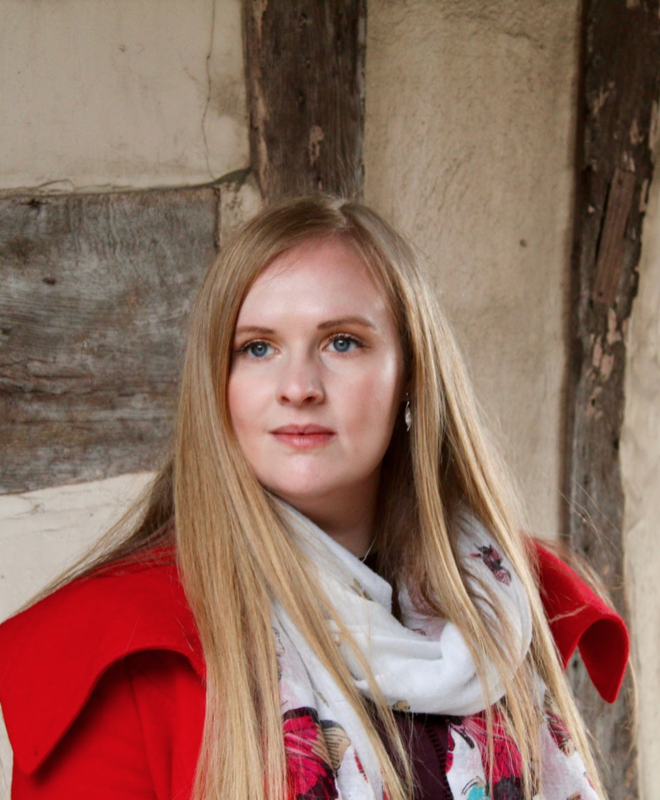 Having grown up in the English Choral Tradition and singing on a regular basis from a young age, my music has been heavily influenced by the transcendence of sacred music and spaces, with it being described as ‘meditative and mellifluous’, with a 'great feel for choral sonority and textures’. In terms of my compositional approach, I am very much led by my ear. As the composer Herbert Howells once said, ‘I have composed out of sheer love of trying to make nice sounds’.Musical sounds or ideas, like any auditory signal of course, unfold over time. When composing this piano trio, ‘Forget?’, for Prism, I wanted to explore ways in which music can be involved with memory and the processing of emotions, responses and ideas. I knew from the outset that I wanted the opening section to reappear in different guises, each time incorporating different textural, harmonic, melodic and rhythmic ideas. I wanted the reminiscence of the initial theme to be clear, but for the memory of it to become altered through the processing of the subsequent contrasting sections. These are varied in numerous ways throughout the piece but hark back to ideas from the original theme. I often find it helpful to refer to traditional structures, and with this idea of musical reminiscence and altered repetitions in mind, I decided early on to use Rondo form as a structural outline (ABA1CA2DA3). Polytonal ascending semiquaver phrases in the piano part juxtapose emotive and more melodic writing found in the string parts in the B and C sections. The D section sees a more contrapuntal interplay between all of the instruments. There are elements of jazz-influenced rhythms and harmonies throughout the piece, particularly at the end of the D section where the strings eventually come together into unison. This then leads us back into the final statement of the original theme, which, although featuring subtle differences and having been influenced by memories of the contrasting sections, has not been forgotten. You can hear the trio amongst other premieres by Sarah Westwood, Blair Boyd, Angela Elizabeth Slater and Laura Shipsey on the 8th March at the New School of Music Concert Hall in Cambridge, MA; at the Women Composers Festival of Hartford, CT, on the 30th March; at the Music and Wine concert series at St Luke’s, Brighton, on the 30th August; at Late Music at Yorkon the 7th September; St Mary's Church, Stafford on the 14th September, and at Stonevale Concert Serieson Sunday 15th September. Dame Elizabeth Maconchy (1907-1994) described in 2001 as ‘one of the most substantial composers these islands have ever produced.’ Looking at her musical rap sheet alone is impressive, you name it she’s written for it - symphonies, concertos, ballet, opera, chamber music, the lot. So who was Elizabeth Maconchy? Elizabeth Maconchy was born in 1907 in a village in Hertfordshire and spent her teenage years in Ireland. She started playing the piano when she was six and at just 16 years old she got accepted to the Royal College of Music to study piano and composition. At RCM she made a lifelong friendship with fellow composer Grace Williams and studied under Vaughan Williams who also became an important mentor and friend. In 1930 Maconchy caught a big break when Henry Wood premiered her orchestral suite The Land at the Proms. It was the start of an amazing career. She received commissions from everyone from major orchestras including BBC Symphony and CBSO to individual musicians such as clarinettist Gervase de Peyer and singer Janet Craxton. Maconchy went on to become Chairman of the Composers Guild. She also chaired the Executive Committee of the Society for the Promotion of New Music (SPNM) and helped develop the British Music Information Centre (BMIC), now both part of Sound and Music. Maconchy was made a CBE in 1977 and then became a Dame in 1987. 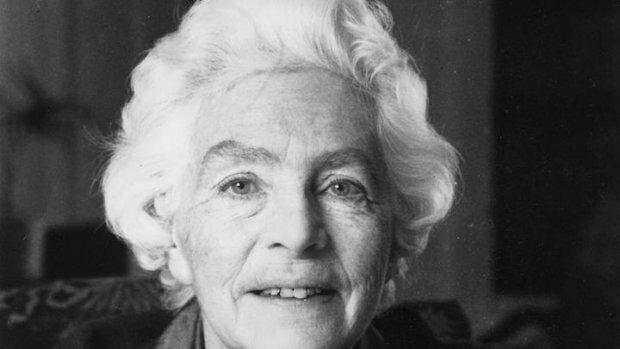 Maconchy was friends with her contemporaries Grace Williams, Ina Boyle and Britten, later on she also inspired and befriended a new generation of composers including Thea Musgrave and Richard Rodney Bennett. Maybe Maconchy thought she’d be compared unfavourably to other composers because of her gender if she allied herself to a particular school of composition. Whatever the reason Maconchy forged her own path, composing in a unique musical language and not getting bogged down in the various schools and isms going on the rest of the musical landscape of the time. She rejected the English pastoralism of her mentor Vaughan Williams, if anything she was inspired by East European modernism from Bartok and Berg, although her later work moves on from that to create her own distinctive style. Her fiercely independent voice means Maconchy’s music is more accessible, there’s something for everyone. You have the masterwork of power and strength in her Symphony for Double String Orchestra, delightly cheeky comic opera The Sofa, uplifting jubilation in her song This Day to the patriotic Proud Thames. 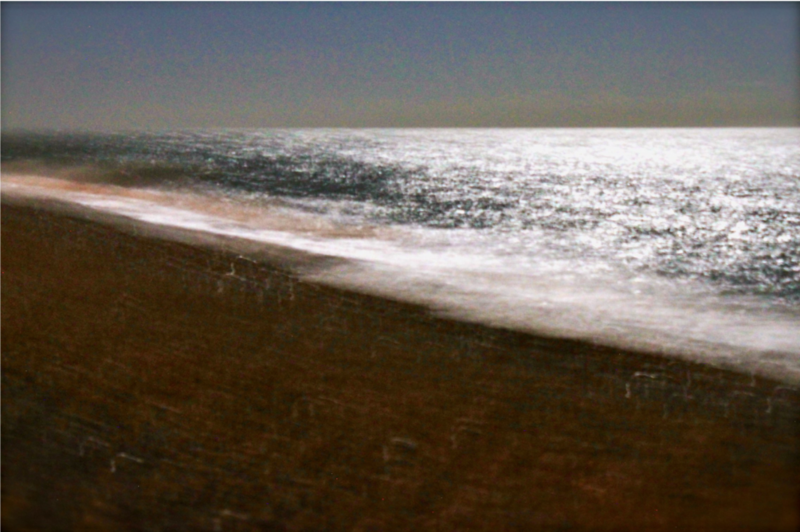 Maconchy’s body of work explores the whole range of the human experience. Maconchy was continually innovating, constantly challenging herself and doing the unexpected whilst still having a clear sense of her music and style. So, Maconchy wrote tons of music for different ensembles but she kept coming back to the string quartet. She wrote 13 string quartets over a 50 year period. They act almost as benchmarks to the whole of the mid 20th century, from the 1st in 1932 to the last in 1984. String quartet no 3 is her shortest quartet but it packs in the drama. Written in 1938 No 3 sees Maconchy really getting into the nitty gritty of complicated family relationships. The piece is a 10 minute psychological thriller, seeing the four instruments engaging in a tense disagreement. The only recording of this so far breaks the piece into 5 broad sections. The first section is a Lento, slow and full of unspoken tension, expertly paced and drawn out to heighten the drama. This leads into a Presto - frenetic and passionate. There’s a brief respite with a seductive Andante, sweet and manipulative before moving into another anguished Presto. This is succeeded by a calmer Poco Largamente which brings the piece to a close. The interactions between the strings really seem like a story unfolding, the chords come together but never quite resolve themselves, just bouncing off onto another phrase, another sentence. The four voices are constantly intertwining, breaking into canons then merging again only to separate completely once more going all the way through until coming to a final uneasy conclusion. To hear this fascinating work performed come along to Illuminate at RCM on 16th February 2019! Dame Elizabeth Maconchy is such an inspiration, her musical integrity, individual sound and breadth of composition continue to delight audiences. More recordings of her music are appearing and her work is regularly performed around the world. For the upcoming Illuminate concert, my piece Amphora for bass clarinet, violin and cello will be performed as part of the RCM Chamber Music Festival 2019. 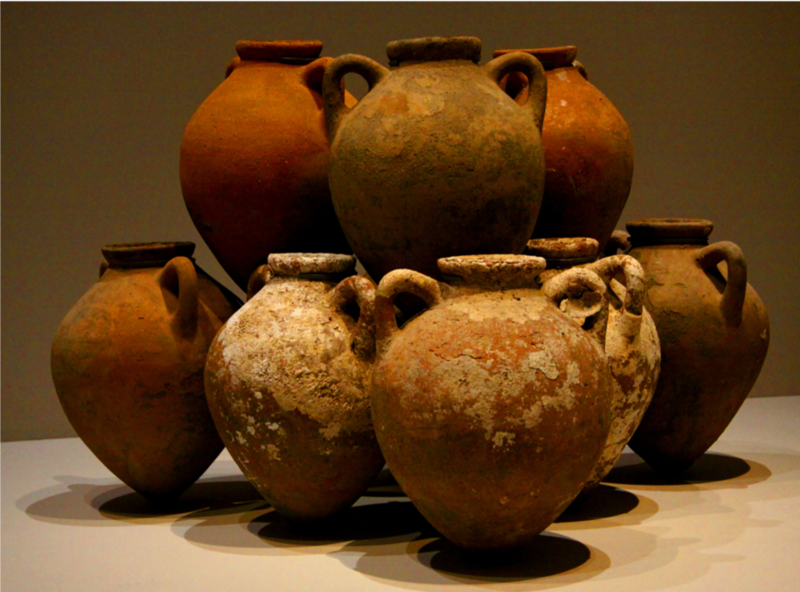 Amphora are vessels dating back to the Neolithic period and also had been made for Ancient Greek vase painting. They were used for the everyday and rituals, prizes and for funery practices. I had been working with pottery in previous pieces, including using various size clay pots as resonant speakers- in Cable Veins, for piano and electronics; Chalk.Body.Barrowelectronics for dance, and Rare Earth installation (work in progress). Whilst working physically with pottery, I wanted to focus on their tactile quality; the weighted and earthy and fragile and ancient qualities, to embody these in sound. The idea of writing Amphora began here. ​At the same time, my compositions encompass other impetuses, and I am often drawn to dance (which I discussed in my previous post for Illuminate) or poetry, and I blend these with my sketches - sculpting, juxtaposing and refining original designs for the piece. After developing these thoughts, a ‘cross-synthesis’happens where phrases, or larger structures, could have started as an embodiment of pottery which are then co-mingled with the poetry ideas, or vice versa. Once I have refined a section, the original meaning and ideas are hidden and transformed. In electronic music, the cross-synthesis occurs when spectral data is applied from one sound to another in order to create a hybrid sound, or a transition from one sound to another. I wanted to use this process in an acoustic setting - and so I imagined the cross synthesis firstly occurring in a short, exclamatory motif. I then abstracted this motif, supporting it with different pressure, resistance, harmonics, multiphonics and pulsating vibrato and tremolo, always striving to sculpt the poetry and pottery together. I also endeavoured to blend an embodied sense of the pottery and poetry with the spiritual. Amphora extract, Heather Roche (clarinet), Patrick Dawkins (violin), Valerie Welbanks (cello) Deptford Town Hall, London. May, 2018. To hear the please in full, come to the concert on 16 Feb! You can now support Illuminate 2019 Season I and II activities! In the last twenty years, American composer Jennifer Higdon has made a substantial mark on contemporary classical music. Her work receives dozens of performances each year, and she has commissions stretching into 2022. In addition, she has earned a Pulitzer Prize (2010) and two GRAMMY Awards (2010, 2018) for three separate concertos. Congratulations, Jennifer! But . . . why should we care? Higdon is a composer that is far more than the sum of her accolades. In interview after interview, Higdon shows dedication to and investment in the people who perform and listen to her music. She regularly communicates with performers, especially when composing a new work, in order to write music that showcases their instruments and individual skills. When available for a performance, she opens herself to audiences through interviews, concert talks, and various print and digital media. Higdon also recognizes that people will have different reactions to her work. She regards different perspectives of her work as valid, and as such allows performers and listeners to play an active role in interpretation. There is not a single “right way” to play or hear her music. With this inclusive attitude, Higdon invites people into her work, and, more widely, into new music. Since Higdon encourages listeners to have an active role during a performance, I offer only a brief description of Dark Wood. My hope is that most readers of the blog will be able to experience Dark Wood at the Royal College of Music Illuminate concert on 16th February 2019 and form their own musical thoughts there! With just a single listening, it is clear that Dark Wood alternates between fast and slow sections. A discerning ear, though, may notice a structural organization of ABA’B’A”. Each time a section returns, tempo and other musical elements connect past music with present sounds. More specifically, the fast A sections are punchy, featuring separated and sharp articulation. This pointed sound, alongside dissonant chords and trills, creates a “bite” that Higdon references in her own program notes. “Dark Wood” is a work that features the bassoon...a wonderful instrument that does not have a tremendous amount of chamber literature. I wanted to create a work that features the bassoon prominently, but also respects it within the framework of a true chamber dialogue (along with its partners, the violin, cello, and piano). Since much of the literature for this beautiful instrument is slow moving, I made the conscious decision to explore its virtuosic abilities. While there is slow music within the piece, there is an emphasis on real “bite” within the language, rhythm and tempi. The A sections also contain brief periods of single, repeated notes and passages where instruments trade musical fragments, with the latter creating a sense of almost agitated conversation. Conversely, the slow B sections are lyrical. Often an instrument retains a sense of individuality, moving independently of the others to create its own melodic shape. In fact, independent melodic lines are a hallmark of Higdon’s style, appearing frequently in her orchestral and chamber music. Additionally, the bassoon and the violin utilize their high registers in this section, adding unexpected colors to the calmer sections of the work. Timbrally, the choice of instruments is slightly unusual. Higdon alters the fairly standard piano trio (piano, violin, and cello) by adding a bassoon. She explains that Dark Wood refers to the wood of the bassoon, the featured instrument of the work. Yet, it is worth mentioning that all the instruments in this ensemble – violin, cello, bassoon, and piano – consist of primarily of wood. The colors may vary, ranging from lighter spruce or maple on a violin to dark or black-lacquered wood on a piano, but wood is central to all four instruments. There is little, if any, scholarly writing on Dark Wood, but a handful of reviews over the past twelve years reveal generally positive reactions to the work. 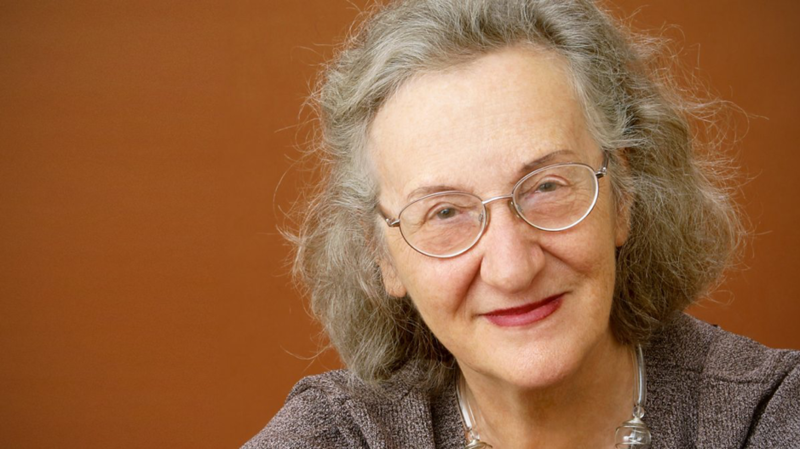 Premiered in 2002, the work was written around the same time that Higdon made a big splash with her Concerto for Orchestra at the national conference of the League of American Orchestras. As such, a review by Steve Schwartz places Higdon as an emerging composer in the early twentieth century. [Dark Wood] is music with a sharp tang, even in the slow sections, and we see the composer coming into maturity. Her artistic search has begun to yield fruit. The momentary echoes of somebody else have been sublimated into a distinct personality. [. . .] The most recent score on the program, Dark Wood rates as my favorite, I'm happy to say, and adumbrates the considerable composer just around the corner. [This] achievement doesn’t fit so easily into a biography, and that’s how thoroughly her music has filtered into every stratum of classical music culture in the United States. Glance through the “Upcoming Performances” page of her official website and you’ll find that her work is being played not only by the Houston Symphony and Philadelphia Orchestra, but also by municipal, community, and high school ensembles across the country. On the surface, it appears to be a simple formula: Higdon writes music that audiences like to hear and musicians find gratifying to play. Though Farach-Colton wrote these words in early 2017, his observations hold true today. From October 2018 to June 2019, Higdon’s music is scheduled to play in 29 states and Washington, D.C. Performances are also scheduled in Canada, New Zealand, Sweden, Finland, Norway, and the United Kingdom. But perhaps more significant than the number of performances is the fact that Higdon’s music resonates with musicians and audiences. Why? Higdon has taken the time to build relationships with performers and listeners and create inclusive environments. She has advocated for her music, and new music, to play in all types of spaces. Her most recent and upcoming concerts are scheduled in museums, churches, and concert halls with performances by youth, university, and professional ensembles. Higdon’s music truly is for everyone: student musicians, seasoned performers, and every person that wants to listen to it. To get a taste of the piece before Illuminate's concert at RCM on 16th February 2019 take a listen to a clip of the Dark Wood from Jennifer Higdon's website. The City of Charleston, Office of Cultural Affairs. “Magnetic South Music: Bártôk, Higdon, and Koumendakis.” November 2017. http://charlestonarts.org/event/magnetic-south-music-bartok-higdon-koumendakis/(accessed 2 January 2019). Edwards, Grego Applegate. “Jennifer Higdon, Sky Quartet.” Gapplegate Classical-Modern Music Review Blog. 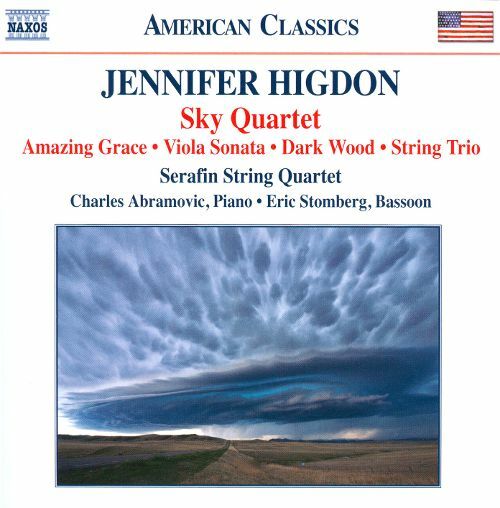 6 August 2013. http://classicalmodernmusic.blogspot.com/2013/08/jennifer-higdon-sky-quartet.html(accessed 2 January 2019). Farach-Colton, Andrew. “Contemporary Composer: Jennifer Higdon.” Gramophone. 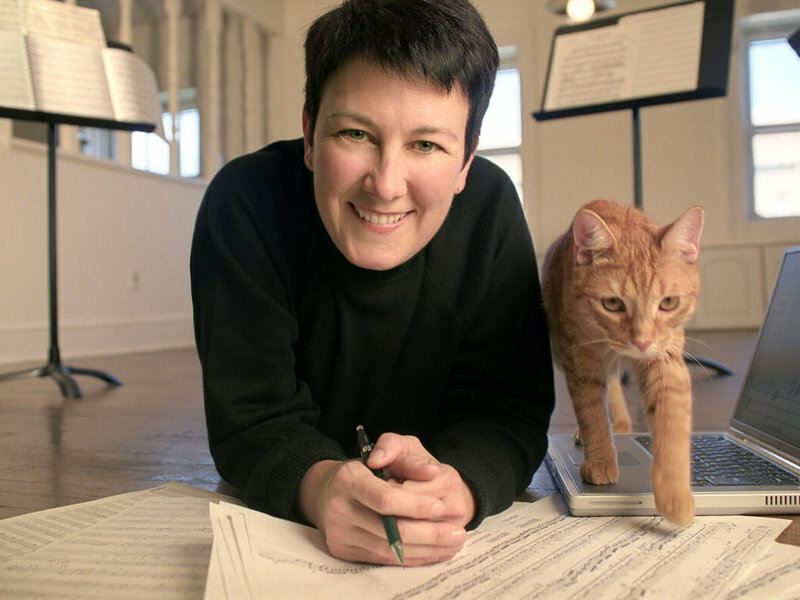 20 March 2017. https://www.gramophone.co.uk/feature/contemporary-composer-jennifer-higdon(accessed 2 January 2019). Gasser, Nolan. “Jennifer Higdon Exclusive Interview.” Classical Archives. 24 April 2012. http://classicalarchives.com/feature/jennifer_higdon_2012_interview.html(accessed 3 January 2019). Hamad, Michael. “Bach, Brahms, Beethoven (And Beer) at Hog River.” Hartford Courant (Hartford, CT). 11 November 2017. https://www.courant.com/ctnow/music/hc-hso-intermix-hog-river-brewing-co-hartford-20171110-story.html(accessed 2 January 2019). Higdon, Jennifer. Composer’s personal website.http://jenniferhigdon.com(accessed 2 January 2019). ———. Interview by Bruce Duffie. “Composer Jennifer Higdon: A Conversation with Bruce Duffie,” Duffie’s personal website. 14 February 2004. Transcript. http://www.bruceduffie.com/higdon.html(accessed 3 January 2019). ———. Interview by Marianne Lipanovich. “Composer Jennifer Higdon: Enjoying an Explosive Year . . . and Career.” San Francisco Classical Voice: Events and Previews. Online. 25 July 2010. https://www.sfcv.org/events-calendar/artist-spotlight/composer-jennifer-higdon-enjoying-an-explosive-year-and-career(accessed 3 January 2019). Kelly, Jennifer W. “Jennifer Higdon.” In In Her Own Words: Conversations with Composers in the United States, 42-60. Urbana: University of Illinois Press, 2013. McKinney, Donald. “Jennifer Higdon (1962- ).” In Women of Influence in Contemporary Music: Nine American Composers, edited by Michael Slayton, 141-89. Lanham, MD: Scarecrow Press, 2011. Midgette, Anne. “Medicine That Really Tastes Smooth.” New York Times. Music Review. 3 November 2007. https://www.nytimes.com/2007/11/03/arts/music/03chamb.html(accessed 2 January 2019). Oteri, Frank J.“Jennifer Higdon: Down to Earth.” NewMusicBox. 1 September 2007. https://nmbx.newmusicusa.org/jennifer-higdon-down-to-earth/(accessed 3 January 2019). Reitz, Christina L. Jennifer Higdon: Composing in Color. Jefferson, NC: McFarland, 2018. Schwartz, Steve. “Jennifer Higdon: Early Chamber Works.” Classical.Net. 2014. http://www.classical.net/music/recs/reviews/n/nxs59752a.php(accessed 2 January 2019). Sferra, Joe. “Jennifer Higdon: Early Chamber Works.” Where Are We Now? Classical and Contemporary Music in the 21st Century. Blog Review. 11 October 2013. https://concerthub.wordpress.com/2013/10/11/jennifer-higdon-early-chamber-works/(accessed 2 January 2019). Verzosa, Noel. “Reverberations.” San Francisco Classical Voice. Online Review. 28 October 2008. https://www.sfcv.org/reviews/reverberations(accessed 2 January 2019). Watts, James D. “She Benefits from a Trend Toward New.” Tulsa World (Tulsa, OK). 15 June 2008. https://www.tulsaworld.com/scene/artsandentertainment/she-benefits-from-a-trend-toward-new/article_ed42ee04-f292-5e1c-99b8-5c2b679726ed.html(accessed 2 January 2019).